TRF Forums • View topic - Tyres, who uses what? Post subject: Re: Tyres, who uses what? I've been using Mitas E-07s for a couple of thousand miles now, and they've been great. They're superb on road, even in the wet, and they've gotten me over some pretty gnarly stuff on the lanes. Mitas market them as 50/50. They came really highly recommended from the ADV rider forums. I used 07's all round Mongolia and the 'stans and back, about 14,000 miles on a set, with no probs. Not so hot in mud or sand but ok if you keep on top of them (hehe). Quite a hard compound and fantastic on dry, hard, stoney surfaces. The tread pattern is similar to Heidenau K60's but the 07's last longer. I've got Mitas E07s on my 990 at the moment, very impressed. Have also used a Mitas E10 on the rear, slightly more off road oriented, that was teamed up with a Conti TKC80 on the front that I never really liked. My spare "off road" wheels are currently running a Mefo Super Explorer on the back and a Maxxis Cross SI enduro tyre on the front, no problems with either both on and off tarmac (the Maxxis is a "hand me down" from my rally bike but still working well). Before the Maxxis I used a Pirelli MT21 Rally Cross on the front, really suited the 990 well and fairly hard wearing, rears are only made in 140 width so never tried that. On my new R1200GSA I've been running TKC-80s front and rear since day one. Right now I'm on my 3rd rear as I see about 3000 miles before it's time to throw on some fresh rubber. Yeah they don't last long but they are worth it off-road. I've ridden the Karoo3 at the Off Road School in Wales, but wasn't impressed. Karoo3 might give you a little longer life but not much where the TKC80 has better grip off road and believe it or not I found it much quieter. For road use I'm at 36psi/42psi but off pavement I drop it to around 28/32. I could probably do 1 front for every 3 rear tires but I recently had a puncture on my front where I had to change it out for a new one after 5K miles. Not many options yet though for the new GS's with regards to the new sizes. 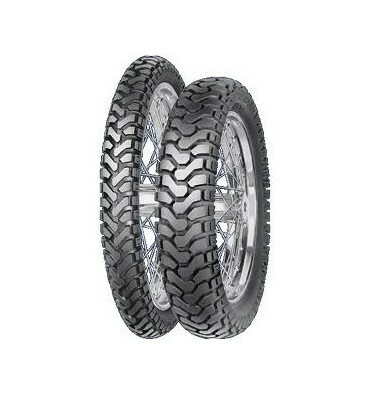 I'm waiting for Mitas to come out with the E-07 as this would be a great tire to ride UK to Morocco on where you'll have quite a bit of pavement under you. Yeah, but what do you put on the Gulfstream ? Size matters, of course but if you can match them then I find the MT21 front, Mitas E-09 rear works really wel on my airhead GS and KTM 690. Don't rate TKC 80s for road or off road. 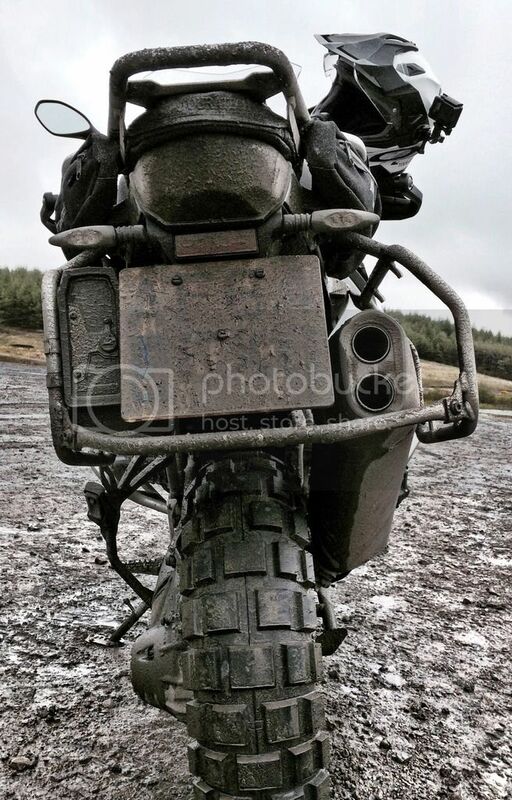 I don't think the K60 is very good on dirt, someone on the KTM forum fitted them for a trip to Wales and had grip issues. Thinking of putting some Anakee Wild on my GSA LC. I commute all year round but want to do more green lanes on weekends. I had Heidenau K60's front and rear on a 1991 TDM 850 and found they ran smoother on tarmac than TKC 80's but still had a deep open delta block tread. File comment: I think front K60 was reverse fitted. File comment: This is at Bloworth crossing on Rudland Rigg on road tyres. File comment: Obviously on dry ground no problem! File comment: Heidenau K60 with good central tread for a smoother road ride. I've got Heidenau K60s on a 650 Transalp. Good 50:50 tyre which performs adequately off road and incredibly on road ! Nearly 5k on a rear tyre now with half that mileage off road in Portugal.